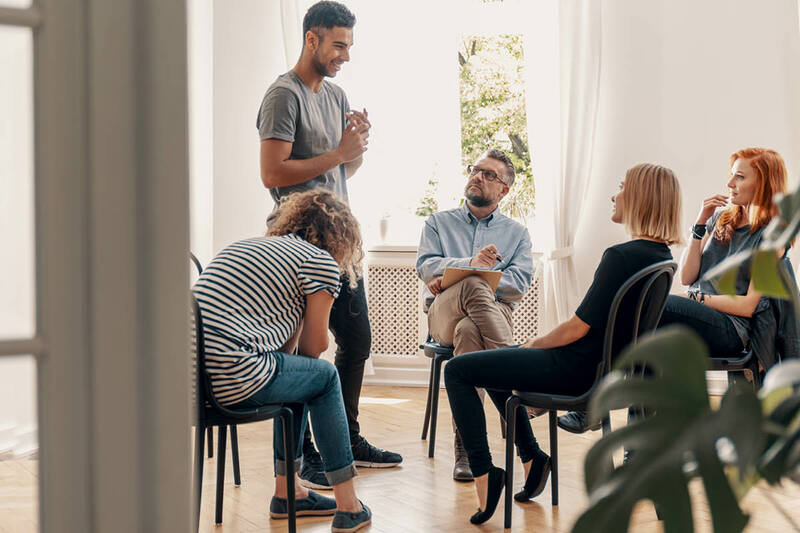 Recovery Center services work outside of traditional office settings, a center “without walls.” Staff guide people to learn new behavioral health self-management skills, improve their social lives and community engagement and more. Our Employment and Benefits Counselors work with people to maximize their available benefits (e.g. SSI, SSDI, TA, etc.) and work incentives, plan goals, boost employability, find and secure jobs, or provide extra support as they work. Transition of Care Wellness Teams work in and out of hospitals to provide patients being discharged with intensive, time-limited transitional services, ensuring continuity of care, preventing readmissions, and improving health outcomes. We work with people living at Rockland Psychiatric Center to help them transition back to community living, so that they can live the life they envision We provide transitioning residents with hands-on exposure to life and wellness so they can focus on their goals. Engagement Centers are walk-in hubs for guests to connect with others who have similar lived experiences with behavioral health challenges. They can also begin learning about local services, supports and resources that can help enrich their lives.